AS Plasto has constantly expanded the range of products in line with the wishes and needs of customers. Plasto seeks to offer high-quality complex solutions to clients. 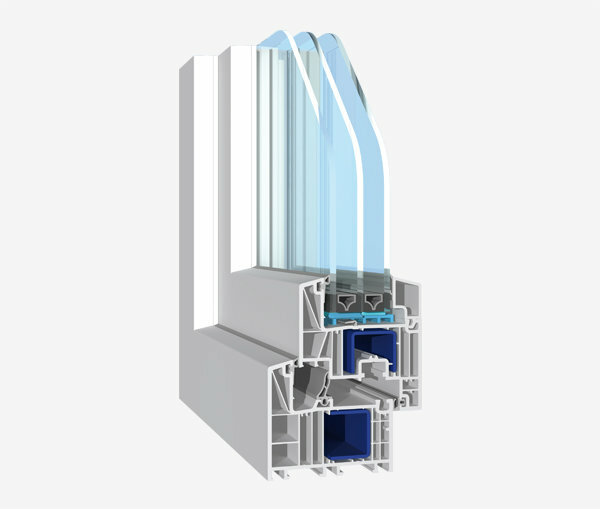 Today, our product line includes windows, balcony doors, sliding doors, patio doors, exterior plastic doors, wall elements. Our windows are a mix of several elements, high-quality profile, insulated glazing and hardware prove the superiority of our products. AS Plasto manufactures windows using two different profile systems which differ by product qualities and appearance. The client may select a window that is best suited for his home in terms of design, qualities and colour. The two different profile types are: Brügmann bluEvolution 82AD & bluEvolution 82MD. AS Plasto offers a diverse selection of IGUs. Our standard IGU boasts good quality, containing argon and a selective coating. Additionally, a variety of IGU options is available to offer the best possible solutions for customers. To obtain information on insulated glazing, click HERE. AS Plasto’s long time activity and experience in window production have enabled us to choose the best cooperation partners. The window is of high quality, if its each component is of the same quality. In Plasto windows we use the quality hardware from MACO that improve our window by making it secure and reliable. To obtain more information on hardware, click HERE.